VOLS, a small winery with old family-owned vineyards on the best southern facing slopes in Ayl and Wiltingen, the best wine villages on the Saar river in Germany. 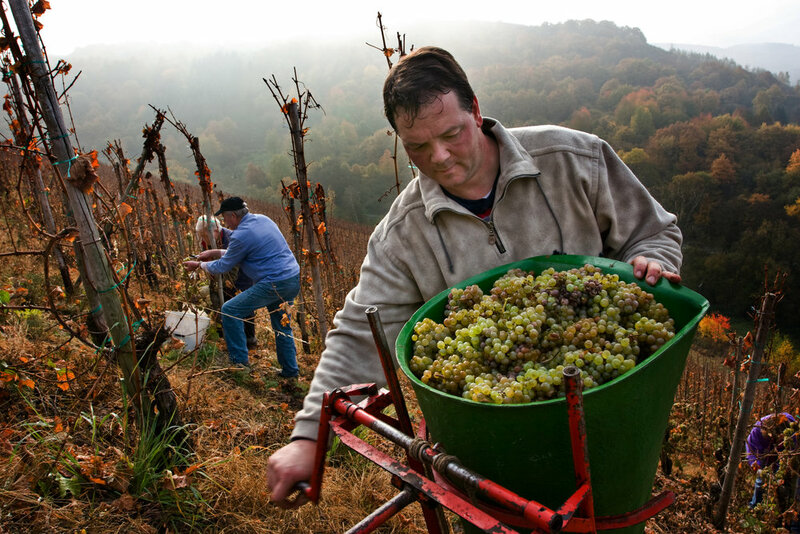 For several years, the committed wine maker Helmut Plunien has experimented in these vineyards in order to produce best wines from mostly ungrafted vines. The extremely fruity and concentrated wines from the Saar river, that have been served and enjoyed all over the world for centuries, are sold in the traditionally dark and slender bottles. VOLS’ philosophy of wine making is simple: the world’s best wines can be produced only from the best fruit from best vineyard sites and with utter dedication. The low per hectare yields of old vineyards result in highly concentrated musts. A fermentation that relies on natural yeasts together with a careful vinification guarantee unique and long-lasting wines.